Snow as Fertilizer? How is this possible? If you live in a snow belt, you'll be pleased to hear that snow actually has some uses - as a warm blanket for your plants to protect them from the freeze thaw cycle, and you can also use snow as fertilizer. Nitrogen is present in huge quantities in our air, but can be a difficult nutrient to get from air to plants roots. Nitrogen that doesn't get absorbed by plants is re-released into the atmosphere, where again, it's unavailable to plants. Now that you know this, it makes sense that plants in the spring are a fantastic green color. As the snow melts, it releases the Nitrogen slowly into the soil, making it easily accessible to the roots right as the plants are coming out of dormancy. The rain that falls during the growing season will also grab a hold of some Nitrogen molecules too, but these are released instantly instead. That spoon feeding of the precious fertilizer that plants need, in exactly the right amounts, at the right time can only come from snow. 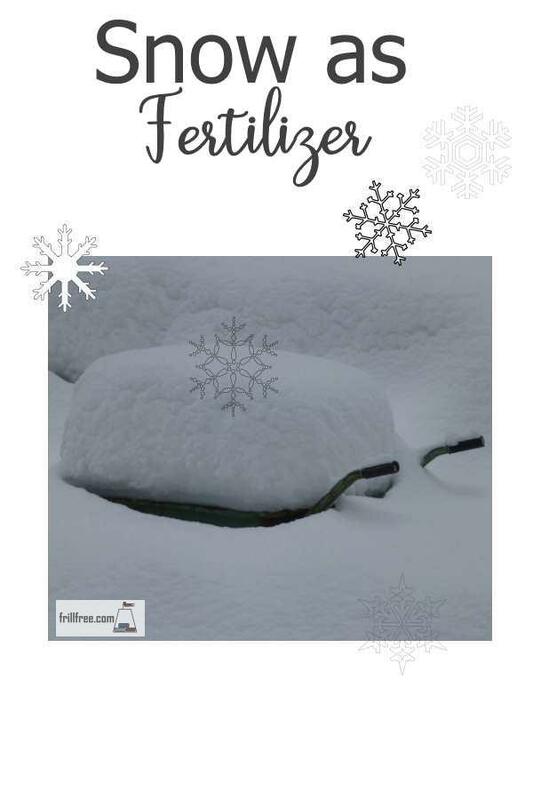 So, the next time you're cursing that snow as it falls in an endless stream onto your driveway, you can console yourself with the fact that you are fertilizing your garden with this low maintenance, no stress method for a pay off in the spring.